After the Billy's accident, another tregedy hits the motorsport environment. 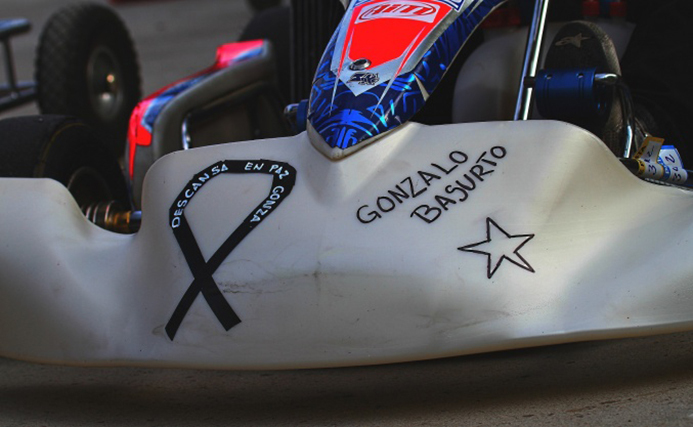 Gonzalo Basurto, an eleven years old driver, died at the F. Alonso Circuit in Oviedo. It's not easy to find the words to describe what's happened in Oviedo on Saturday: while the whole karting environment was focused on the Euro champ in Sarno, a young driver passed away in Spain at the brand new F. Alonso Circuit. During a practice session of the Regional Championship of Asturias on Saturday, Gonzalo touched another driver and flied over the kerbs in the chicane Parma, which recreates the original layout of the famous Italian track San Pancrazio near Parma. After the flight his kart overturned causing serious injuries to his neck. He died Sunday morning at the Hospital Universitario Central de Asturias. The race on Sunday was cancelled. People who know that track say that those kerbs are too high and too dangerous, but if you want to post a good laptime, you've to cut them. They're also problematic for the chassis, because they stress it so much. Now the National federation is wondering if relocate races of the National and European championship and drivers are gathering signature to not race there.